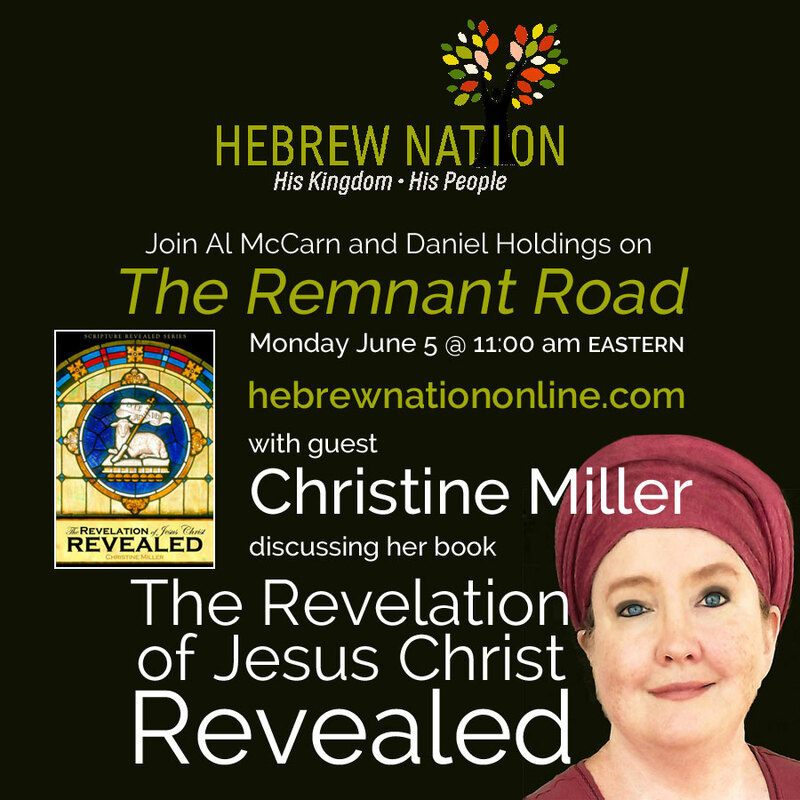 Christine will be a guest on The Remnant Road morning show, on Hebrew Nation Radio, on Monday, June 5, 2017, at 11:00 am Eastern time. She will be discussing her book, The Revelation of Jesus Christ Revealed. Tune in at Hebrew Nation Radio or listen to the archived podcast after the show. Putin’s growing power and Trump’s extraordinary US Election victory are both herald’s [sic] of a growing movement against the established world governments. Anti-establishment parties raging against the political class could sweep to victory in a swathes of elections next year and change the face of the West. 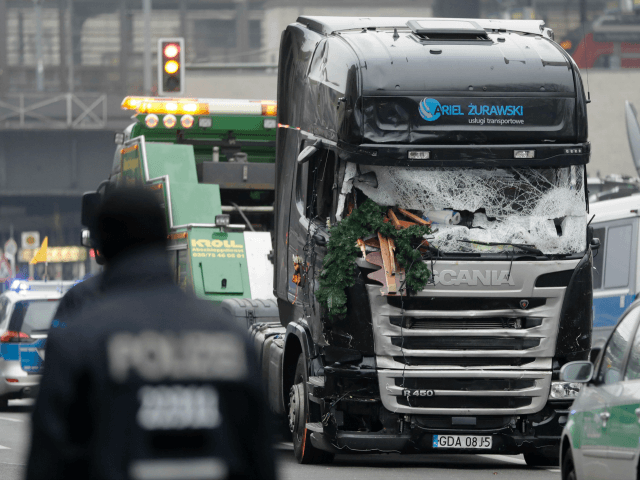 From Germany, to France, to the Netherlands – fringe and extremist parties are gaining momentum hand over fist and looked primed to seize power. Notable victories have already been won – with a shocking referendum win in Italy causing Prime Minister Matteo Renzi to resign in a move said to pave the way for the collapse of the EU. Just a reminder that words like “fringe,” “extremist,” “alt right” and “far right” suddenly appearing ad nauseam since the Nov. 8 election, are establishment media code words for what were considered before the election to be center to right of center policies and people; in other words, anything that defies politically correct or left- leaning biases. Open Society Needs Defending: George Soros brings his personal history to bear on the threat posed by today’s ascendant populists. Open societies are in crisis, and various forms of closed societies – from fascist dictatorships to mafia states – are on the rise. Because elected leaders failed to meet voters’ legitimate expectations and aspirations, electorates have become disenchanted with the prevailing versions of democracy and capitalism. Interestingly enough, The Drudge Report was under the largest DDOS attack in its history on the evening of Thursday, Dec. 29, when Drudge’s top headline read MOSCOW MOCKS OBAMA ‘LAME DUCK’. Other ‘free’ (as in, not controlled by Tenth Empire globalists or foundations) media sites have also suffered severe DDOS attacks in an attempt to silence the outlets which are pulling back the curtain on the great and powerful Oz, Wikileaks and Twitter being just two well-known examples. Graphic source (strong language warning / agreement disclaimer on comments). The top tier are the 10th horn oligarchs. 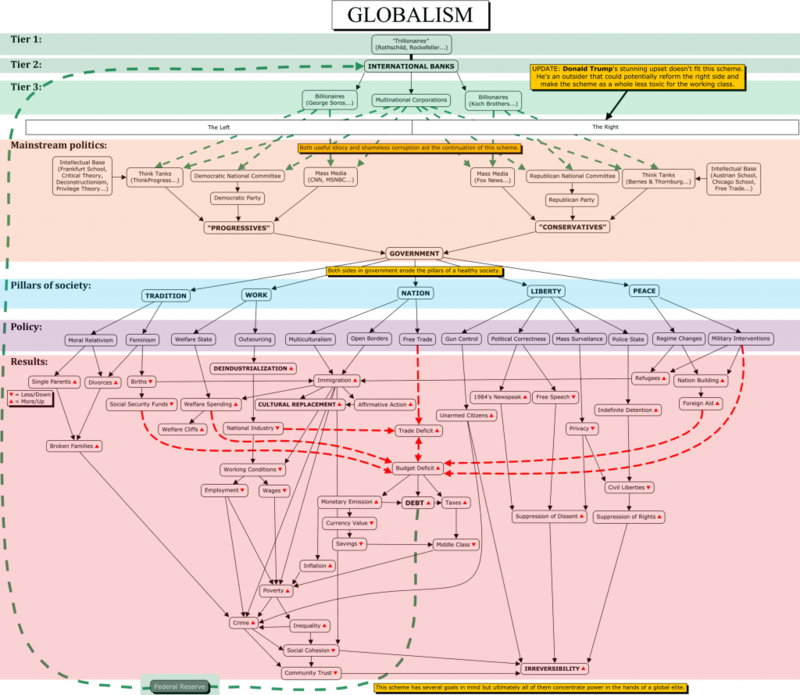 The top three tiers are the Global Shadow Government, the 10th empire. This chart is specific to America but it is a similar system in Europe as well. What they do not understand, is that God is in the process of punishing them, in the pouring out of the Seventh Bowl, which will end in their destruction as the final manifestation of the Roman Imperial system. Seen on social media:”Europe’s Ruling Class has no intention of doing anything other than letting its people just absorb terror attacks every few months from now until forever.” Europe’s ruling class is controlled by the same Shadow Government of the 10th Empire that controls America’s ruling class. Incidentally, on December 19th, Donald Trump garnered the majority of Electoral College votes to become the 45th President of the United States. Not a politician, he was rejected by the ruling class of both parties and has paid for being an outsider by an unprecedented smear campaign in the media, fueling civil unrest. This is why the nations of Europe are voting out globalists, and you can expect to see that continue.